Who loves to be scared? ME! 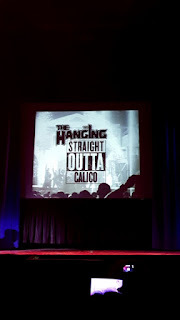 Last week, I was invited with other media to get a sneak peak into what will be returning to Knotts Scary Farm! Would Special Ops be back? What is new? Scroll down to see what to expect. Looking to come play hard? 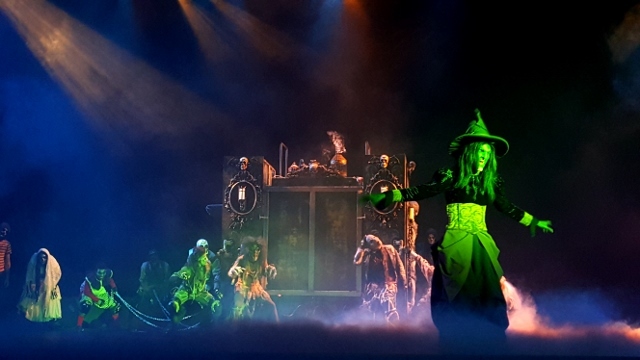 The Knotts Scary Farm Pass lets you come back every night for only $70 for Season Passholders! Get it quick as they sell out and are only available until Sept 20. Hate parking? Add it to your pass. If you already have a parking pass, it will still be good on Scary Farm Nights. What shows do you have to look forward to? SCAREZONES are areas where there are NO PLACES TO HIDE! Ghost Town- New character called the Dollmaker from the old Doll Factory Maze. Find him, if you dare! Special Ops Infected: Patient Zero- This unbelievable hit last year is back better than ever! New laser guns and healing stations will propel you into new missions. The guns will have realtime score display that improve the guns characteristics with your kill streaks. Gunslinger's Grave returns in an all new form this year called Gunslinger's Grave: A Blood Moon Rises. The Dead of Winter - experience the horrors of a frozen land under the control of an angry snow queen with an army of undead Viking warriors. Skeleton Key room will feature an encounter with the Snow Queen. The Calico Mine Ride will become My Bloody Clementine, where the tunnels are haunted by the ghosts of a murdered family. This will feature some all new effects, including projection mapping as well as the return of live talent. Paranormal Inc. - Case 13: The Haunting of Hayden Hill - An interactive story with branching storylines. Who will I see there? This is one of me and my husbands favorite date nights! Bring friends and make it even more fun! Be sure to get your reservation for Special Ops when you get there and make sure your group gets the same area(last year there were two areas). 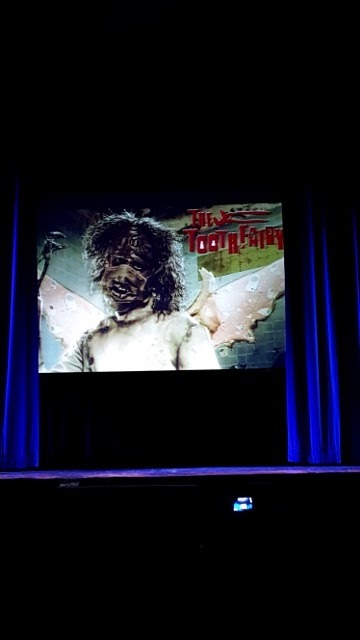 DISCLAIMER: I was invited to a media preview for Knotts Scary Farm. All thoughts and ideas are my own. Do not use any photos without permission. 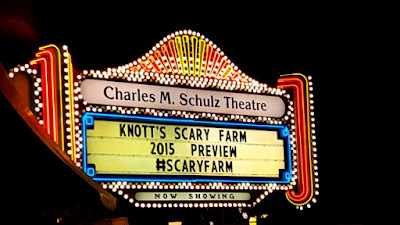 I haven't been to Knott's Scary Farm in years but I used to love going as a teen.